The contest deadline has been extended! You now have until 11:59 pm on Wednesday, April 24, 2019 to submit entries! 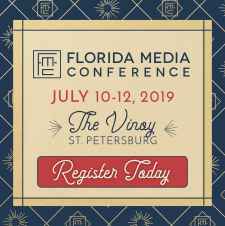 This year’s Creative Excellence awards banquet will be held on the evening of July 11, 2019 at The Vinoy in St. Petersburg during the Florida Media Conference. Complete contest information including rules, categories, and entry instructions can be found on FloridaMediaContests.com. Best Mobile Application, Best Social Media, Best Newsletter, and Best Online Video Application! Buy 10, Get 5 Free! 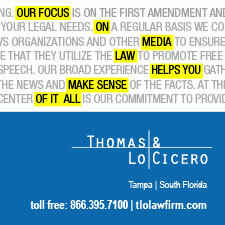 If you have any questions please contact us at info@floridamediacontests.com or (321) 283-5272.